Australian dance musics kings of controversy sure made a big impact with their return, courtesy of the single 'Other Planets'. 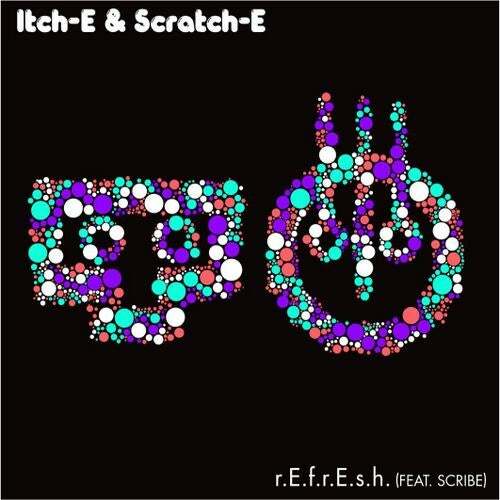 Theres no time to stand still however, as Itch-E & Scratch-E present their next piece of electronic goodness. 'r.E.f.r.E.s.h.' is a pumped up bouncy club affair with a clear destination path for the dancefloor. Talented New Zealand MC Scribe provides the super catchy rhymes that works together with the record like butter on toast. Remixes courtesy of Tom Piper and Santiago & Bushido.